These recommended routes may be run in any direction from your starting point in Tylerton or Ewell. They can be connected, as shown on the map, to make longer or varied routes. Always take wind and tide into consideration when planning your paddling route. Click here to download a PDF of map. With its winding curves, the Back Route is a scenic paddle, as well as the shortest route between Tylerton and Ewell. This route circles the town of Tylerton, going through the marsh of Merlin's Gut and in front of the Tylerton working waterfront. While in the gut, look for nesting egrets dotting the trees across the marsh. A great way to get a sense of Ewell from the water. The loop goes around Goat Island, which is aptly named. You may see some. Experience the main waterfront thoroughfares of Ewell, Rhodes Point and Tylerton mixed with narrow, winding marsh guts. Takes you close to The Pines and Ireland, two of the forested hummocks that are nesting spots for herons and egrets. Especially good for early morning or evening paddles. Pass from Maryland into Virginia and back on this wilderness paddle. Keep an eye out for an eagle's nest on Hog Neck. A quiet hummock in The Martin Wildlife Refuge and a short paddle from Ewell. Stay close to the channel markers leaving Ewell, being mindful of other boat traffic. Put in at the public boat ramp in Tylerton or Ewell. In addition to the marked trails, there are many miles of paddling possibilities for the experienced paddler through the bay's wildest marshes. These routes are unmarked and local knowledge should be consulted before embarking. 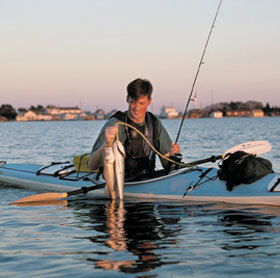 For waterproof copies of the Smith Island Water Trails Paddlers Guide brochure, email Jim Rapp at dlitedirector@comcast.net visit www.delmarvalite.org. Keep an eye out for wildlife on the island. Whether you're a casual photographer or a long-time wildlife photographer, you will definitely want to bring along your camera.